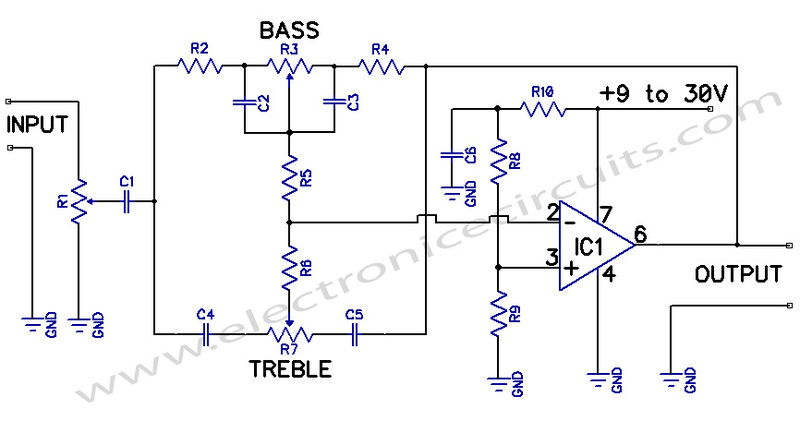 A preamplifier circuit providing independent Bass and Treble tone controls is shown in this circuit. 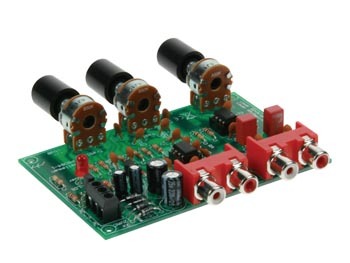 The circuit is basically an inverting type amplifier operating on a single supply. The tone control network is inserted in the negative feedback path. It provides 15dB of Bass and Treble cut and boost with respect to the gain at the mid-frequency of 1000Hz. The output can be either ac or dc coupled to the next stage. nada bass nya mantap ga? thanks for sharing this!however,where can i put the volume pot? i really need your reply asap..thanks! C1 and C6 are electrolityc capacitors or no?